Welcome to our Zap Cloth Distributor Training! We are looking for New Wholesale Distributors to sell one of the best selling flea market items, as seen on TV. 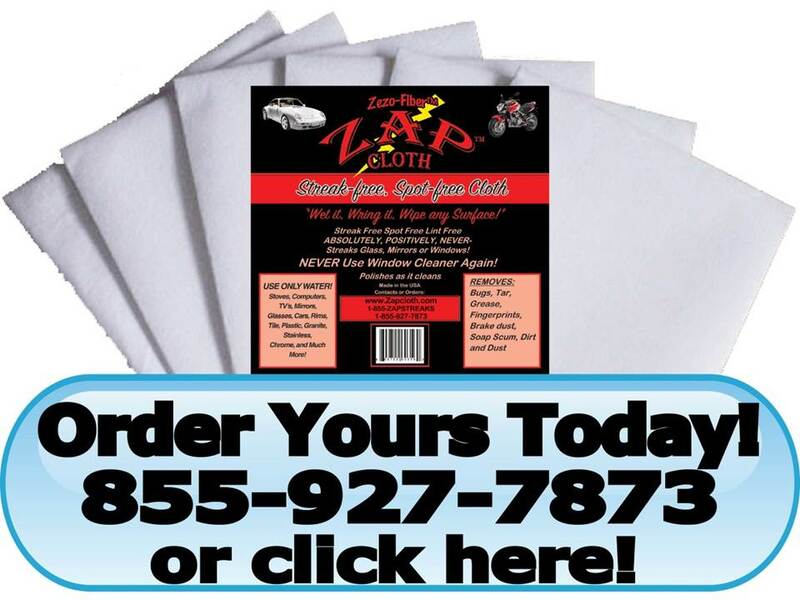 If you are looking for an independent, start up business with which you may earn extra income and even work from home, then you should consider becoming a wholesale distributor of the famous Zap Cloth. In today’s tough economy, selling the Zap Cloth is an excellent way to earn extra income or earn full time income. This isn’t a get rich quick scam; this product works! People love it and we stand behind it. We have many great success stories where people are making a lucrative, full time income. This is a rewarding business opportunity! There are many ways and places to sell the Zap Cloth. They can be used in most any industry and by anyone. The "Zap Cloth" is a great retail counter item. They are also hot sellers at flea markets, hot sellers at home shows, hot sellers at boat shows, hot sellers at car shows, hot sellers at festivals, hot sellers at fundraisers or any place where you can demo the product or pitch the product. You can work from home. You can work at your own pace. You can make your own hours. You can be your own boss. You can make extra money with this hot selling item. New Distributors Wanted for this rewarding Business Opportunity! Watch the Zap Cloth Distributor Training Videos taken at a flea market. In less than 1 hour we grossed $200 in sales. With a markup between 300 to 400 percent, there is great potential. We also offer for purchase an instructional video (not shown here) that teaches you everything you need to be successful. After viewing the videos, check out our Zap Cloth Distributor Information page if you have not already done so. That page should help answer any questions you may have. The "Zap Cloth" has been featured on radio interviews from Florida to New York as an environmentally friendly and effective Green cleaning product. "Opportunities are like buses, one comes along every now and then". "You can get everything you want in life by helping others get what they want."